The Fon network in UK is formed by our standard Fon Spots and BTWiFi-with-Fon hotspots. Here is all you need to know so you can connect to our network in the UK as a Sharing member. Look to see if a WiFi signal "BTWiFi-with-FON" is in range of your device and if so, connect to it. Open your web browser and wait for the BT Fon login page to load. If it doesn't, type any web address, i.e. "www.bbc.com" into your browser's address bar. Once logged in, your session will start. Notes: if you have difficulties completing this process, please click here to go to the troubleshooting instructions. 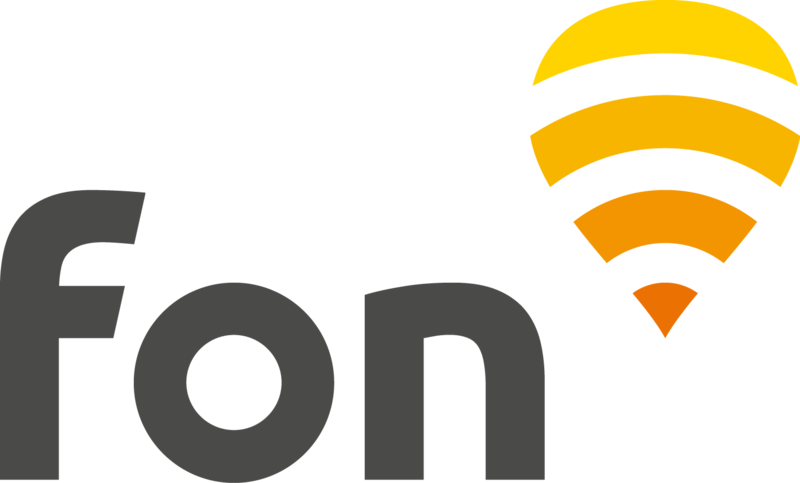 Free access is only valid at BTWiFi-with-Fon hotspots. Your credentials will not be accepted on premium BT Wi-fi hotspots, which belong to BT's dedicated network (only for BT customers). Select "Fon" and log in with your username and password. Select "Fon" and log in with your Fon username and password (correspond to the email address and password used during the registration of your Fonera).